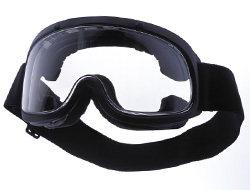 This model uses a dual lens design as standard and special treatments for excellent anti-fog performance. They also use thick 10mm foam on the frame, making them exceptionally comfortable when used for extended periods of time. 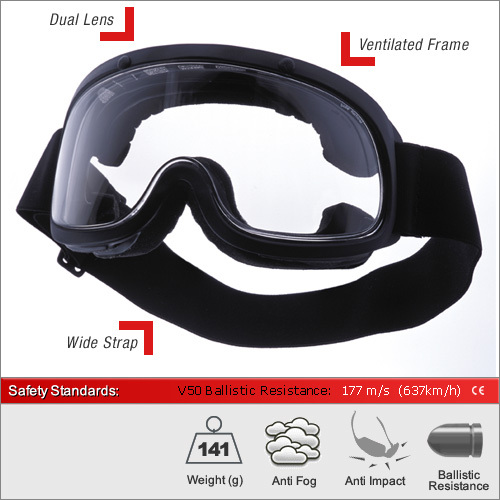 They are Stanag tested to 177m/s using a 2mm anti-scratch outer lens and 0.5mm anti-fog acetate inner lens. Due to the design they can be worn over the top of small prescription glasses and give a large panormaic field of vision. Each pair is provided with a separate microfibe pouch for cleaning and storage.